Stacy Lyn and Norm made it their mission when arriving in Europe to visit as many American battlefields and monuments as possible while here, and fortunately Stacy Lyn never leaves without us, her Traveling Socks. 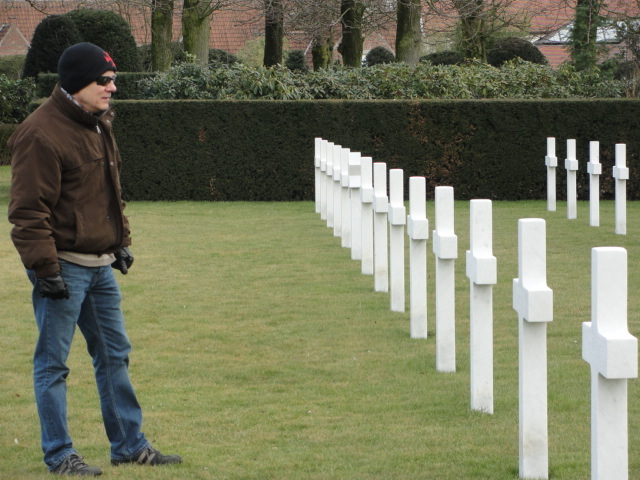 On Presidents’ Day weekend, we went to the Flanders Field American Cemetery in Waregem, Belgium. 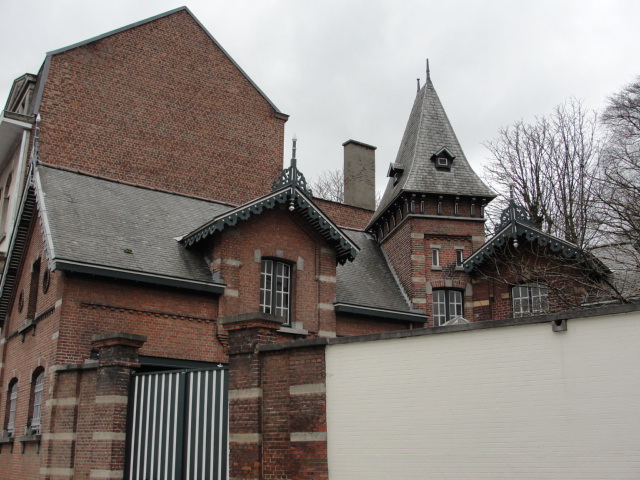 We drove first to Kortrijk, Belgium and spent the day there exploring. We thought this house was very pretty. The wind was blowing, and pennant flags danced on one of the town’s squares as the cobblestones massaged Stacy Lyn’s feet. 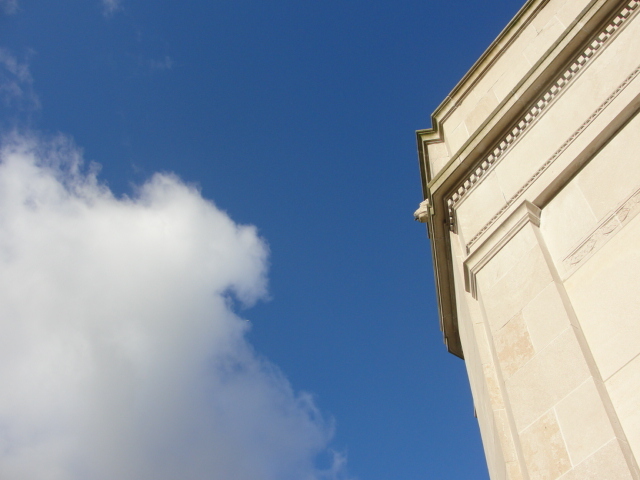 And look at the shrine to the Madonna and Child on the facade of that building – Stacy Lyn loves that. On the second day, we went to the Flanders Field American Cemetery to pay our respects to American heroes. The entrance is welcoming, like visiting someone’s home – the fallens’ home, in fact. Here we sit outside the visitor’s center at the cemetery. It was cold, and you know how her feet are always freezing, so Stacy Lyn only let us out for a moment. Three hundred sixty-eight servicemen lie in repose here, the smallest of the American cemeteries abroad. Norm takes a moment to reflect. He is a veteran, which makes Stacy Lyn very proud. How can we tell them how grateful we are? We suppose the only way is to visit them when able to do so.